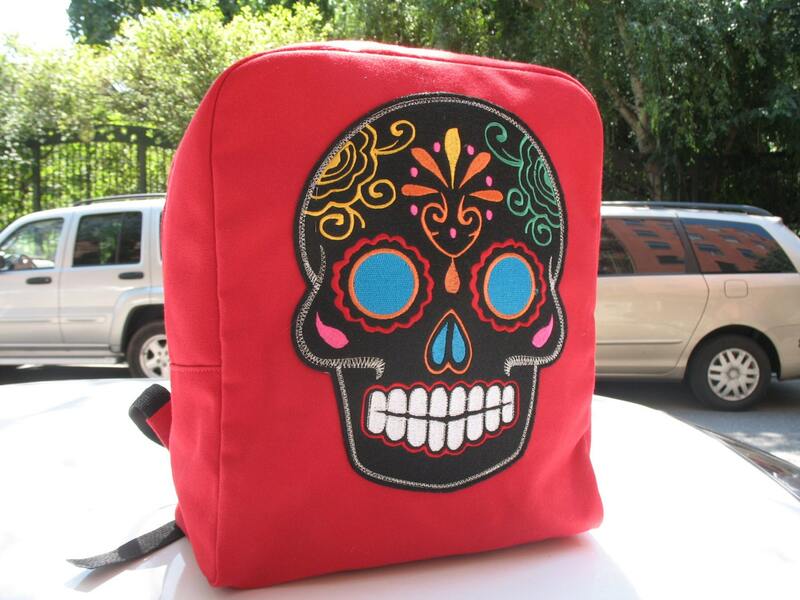 Large Heavy duty #8 oz red canvas backpack handmade in nyc with multi colored sugar skull appliquéd patch designed by artist liz Miera. This bag is roomy and fits comfortable on your back. Perfect for all your books, laptop, lunch and daily necessities. Lightweight and easy to carry this backpack features a large interior pocket, adjustable canvas straps and a ykk zippered closure.